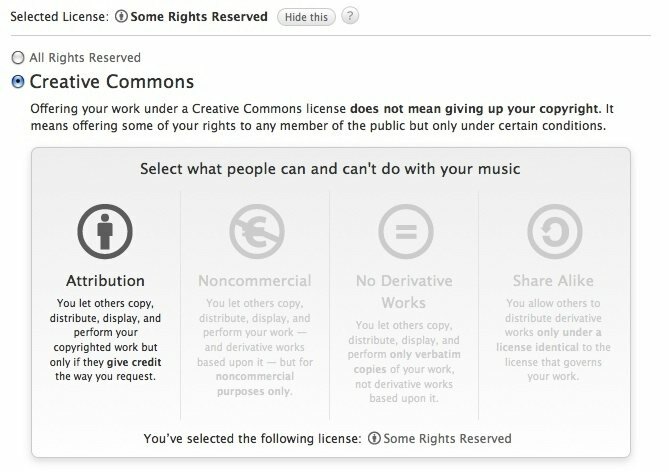 On this page we describe how to apply a Creative Commons licence to content on SoundCloud. 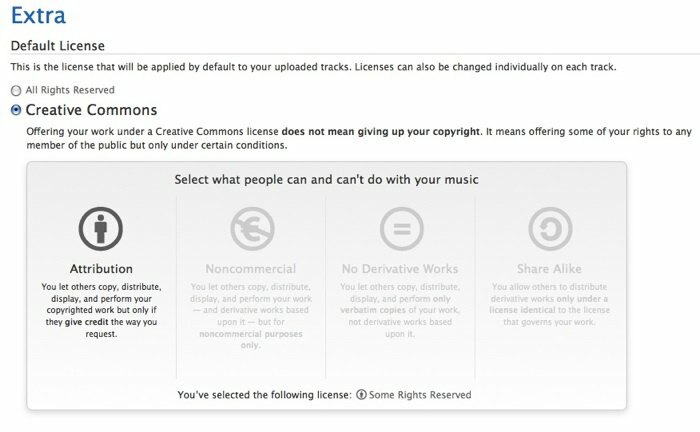 SoundCloud has an excellent primer on Creative Commons, which gives you all the info you need to know about uploading and licensing music on their platform. You can 1) choose a CC licence when uploading a track or set or 2) change your default license setting in your ‘extra settings‘.